When you try to play games or use a save file from another PSN account, you will always get a cannot earn trophies warning when you first boot up the game if it has a save file. This pic by pic guide will show you how to remove this warning so you can play and continue all the games from another PSN account annoyance free! This method will not work to remove the trophy warning from launching H-Encore, but my other guide (https://psvitamod.com/remove-trophy-warning/) will. Step 1: Download Vita Save Manager and rePatch. Download savemgr and rePatch on your PC and then launch VitaShell on your Vita. 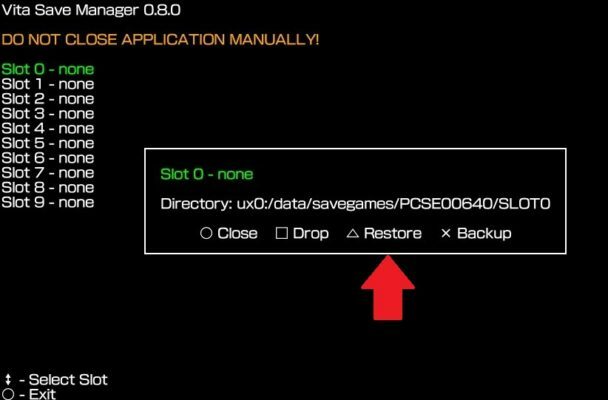 Connect the USB to your Vita by pressing SELECT (your main settings,press START to bring up, should be like the pic above; if you are using SD2Vita change the USB device to SD2Vita). Transfer the savemgr and rePatch files to any folder in the window prompt that just popped up (I created a folder called VPK). Step 2: Install SaveMGR and rePatch. Go to the folder with the savemgr.vpk and repatch.skprx files and install savemgr. Then go to repatch.skprx and press Triangle and then Copy. Press circle until you see ur0 and go to the tai folder. Press X on tai and then triangle on “..” and then Paste to copy and paste the repatch.skprx plugin into your tai folder (Some of you who are only using an official Sony Memory Card might have your tai folder in ux0,if so then use ux0 for all instances of ur-). Step 3: Edit Config.txt to Launch rePatch. Press X on config.txt and then press Triangle to select Insert empty line and then type ur0:tai/repatch.skprx. Press O to go back out to the config.txt and O again to get a save prompt and X to save the changes to the config.txt. 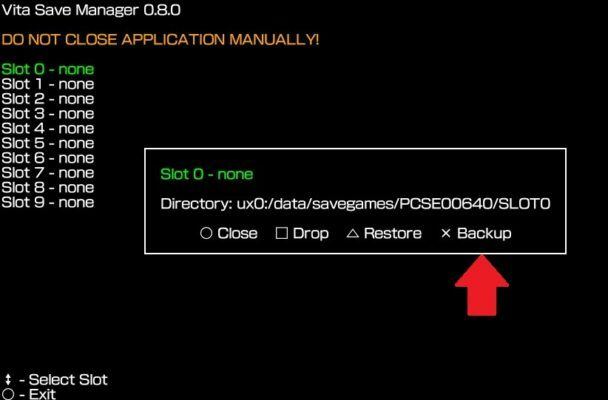 Press start and then go to REBOOT to reset the Vita so the changes can take place (the ur0:tai/repatch.skprx should be under *KERNEL but if you have other plugins like I do then put it as the last one like the pic below). Step 4. Launch Vita Save Manager. Scroll down to the last page on the Vita Home Screen (Live Area) and launch the bouncing Vita Save Manger bubble. Go to the game where you receive the trophy warning and press X to confirm the save dumper. (In this example, I have a save file from someone else PSN for Shovel Knight so I will be using Shovel as an example for this guide). Wait for the installation to finish and take note of the GameID (PCSE00640 in this example). Step 5: Create a Save Slot and Edit the New Save File. On the screen with 9 empty slots, highlight any slot and press X for Backup (I chose Slot 0 but any Slot will do). Once done, you should see the chosen slot filled with the save. Now go back to VitaShell and go to ux0:data/savegames/GAMEID/SLOT0/sce_sys. Press Square on all files EXCEPT sdslot.dat, then press Triangle and to Delete the marked files. Step 6: Delete the Original Save File. Press O until you see the ux0 folder and press X on it. Go to user/00/savedata and find the gameID and press Triangle on it. Hit Delete to delete the entire gameID folder. Go back out to the Home screen and launch Vita Save Manager and click X on the gameID. 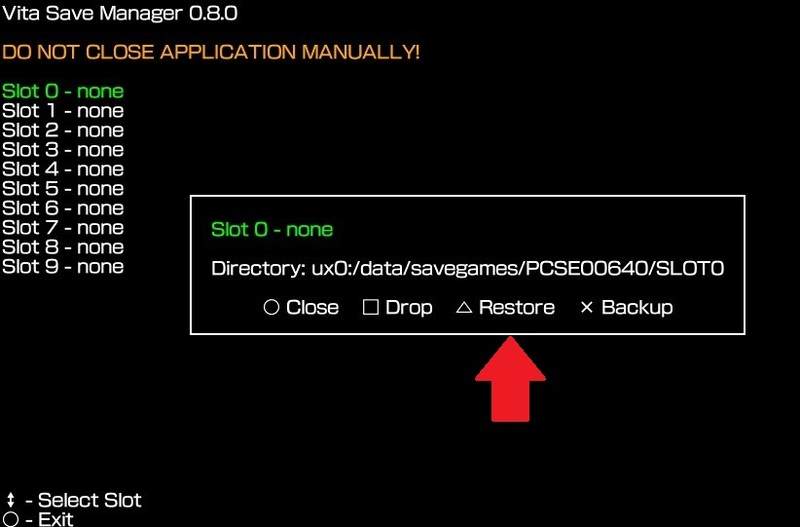 Step 7: Restore the Edited Save File and Launch the Game. On the screen with the 9 empty slots, pick any slot and press Triangle to Restore. This time you won’t see the slot filled with a save and that is normal. Now go back out to the Home screen and launch your game. 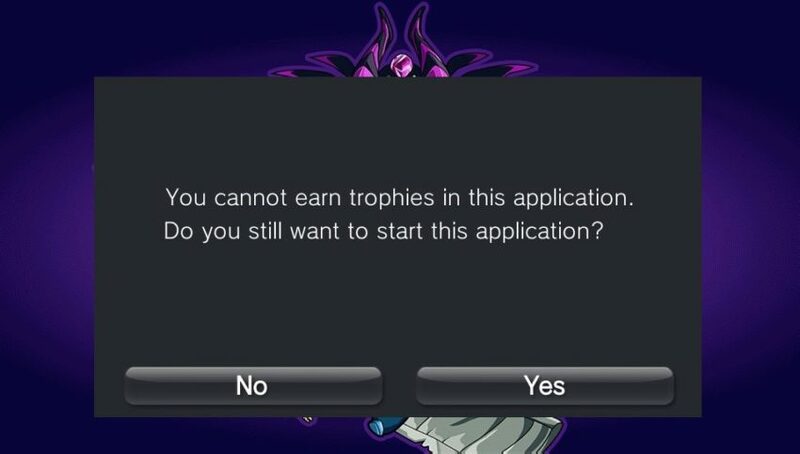 You will now no longer have the annoying trophy warning, but if you have multiple games with this issue you have to repeat the steps for each game.